You might get hundreds of friend requests on Facebook every month. Tell me how it would be to convert them into your followers? Sounds good. Hm. Well this can be possible. Here I will guide you how to convert them. But before that, you should know about the basic difference between Facebook friends and followers. When someone will send you a friend request and if you'll accept it, then both of you will be added in each other's friend list. On the other hand, if someone will follow you, only he can get your updates in his news feed. It's more like one-sided love. If you want to give a professional touch to your Facebook profile, you've to increase your followers base. Follow word has a close relations with reputation. The more followers you've, the more professional you look. 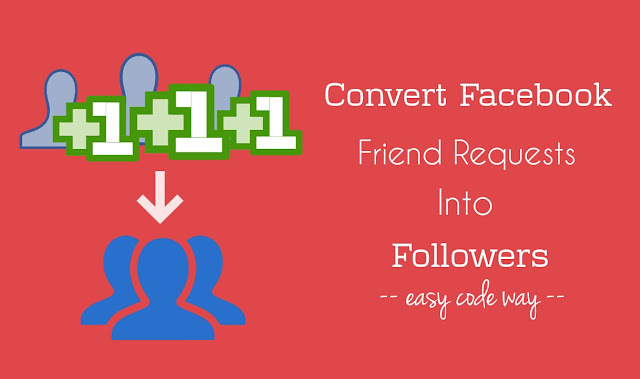 It's a great opportunity to convert your friend requests into followers. Here's a simple trick. Now move to "Followers" tab. Under "Who can follow me?" section, change the audience to "Everybody" and that's it. Next time, when someone will send a new friend request, he/she will automatically start following you. All what you need to do is, don't accept any friend request, except your close friends and the people you know in your real life. Unfortunately, you can't convert your old friend requests into followers by this method and speaking frankly, there is no such trick. Note that, if you'll exceed your Facebook friend list and friend requests limit, people will get an error message while sending you a new friend request, but they will automatically start following you. You can also index your Facebook profile in search engines like Google, Yahoo! and Bing. Out of all these, Google has a great potential to drive huge traffic. There may be thousands of people searching your name on Google and if they will visit your profile, around 70% will send you a friend request. Make sure that your profile is indexed by Google and it's there in first result page. To know whether your profile is already indexed or not, first open Google homepage and search for your first and last name and add "Facebook" keyword after it. Alternatively, you can search your profile link. If your profile is there on first, second or third results page, this means that it's already indexed. On the other hand, if you didn't find it, you've to index your Facebook profile manually. If you've a website or blog, you can link it with your profile. 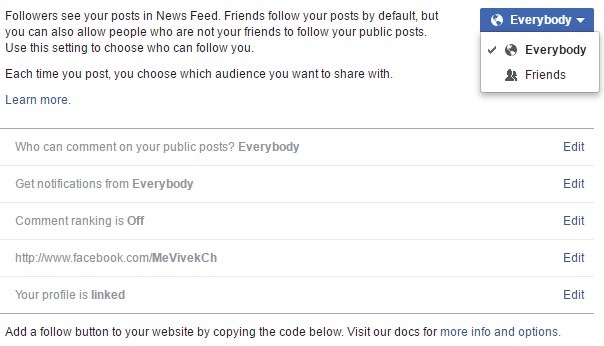 Facebook also provide follow plugin. You can get the code from same followers settings page. If you don't want use it (most probably, to speed up the webpage loading time), then directly add your profile link in an anchor text. I recommend it using on your about/contact page and below post content in about the author section. Make sure to add a 'call to action' note. 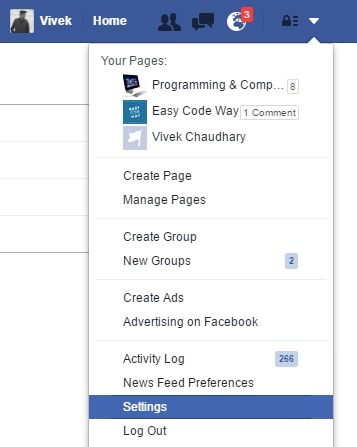 For example, you can write "add me on Facebook", "Connect with me" or "Follow me" in the anchor text. If your website is getting decent traffic, this method will perform very well. Do you know who can send you friend requests? To find it, again go to your account settings and move to "Privacy" tab. Now under "Who can contact me?" section, make sure that "Who can send you friend requests?" option is set to "Everyone". If you want to get maximum number of friend requests, your profile should be visible to everyone and everywhere. From the same page, you can change the visibility privacy for the people who you want to see your profile in Facebook search when they'll search your mobile number or email address. Make sure that they are also set to "Everyone". Professional Facebook profile tend to gain more people attention as compared to the other normal profiles. Someone said it very well that first impression is the last impression. In the same way, if you'll look more professional, you'll receive more friend requests. Actually, it's not very hard to give a professional touch to your Facebook profile as it sounds. You just have to keep few little things in your mind. Always upload good quality photos (such as DSLR photos), fill your about section completely, clean up your timeline, get custom username and don't share useless posts. For more tips, you can read my previous article on how to make a professional looking Facebook profile. Some people use third-party apps to gain Facebook friend requests. You may find thousands of websites, tutorials and apps on Google claiming to send you bulk friend requests in a very short period of time. Speaking frankly, nothing will work for you. Such automated bots are useless and they may use your account for spam purpose or hack you. And most importantly, Facebook also take major actions against those spam users. Your account or its particular service may be blocked temporarily or permanently. So it's better not to use them. This is how you can get more friend requests and then convert them into your followers. If I had missed something, please share it in the comments. Stay tuned for more interesting tutorials. Do you really think this is a great way to increase your Facebook followers?